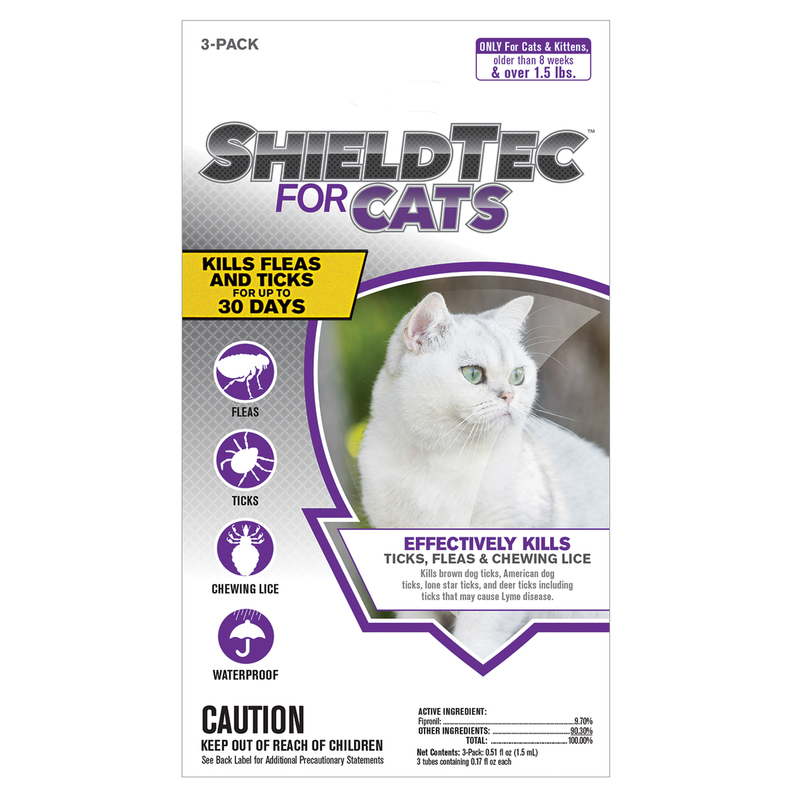 ShieldTec for Cats provides effective flea and tick control. Its active ingredient kills fleas, ticks, and lice for up to 30 days. ShieldTec for Cats controls deer ticks, brown dog ticks, American dog ticks and lone star ticks. ShieldTec for Cats is manufactured and packaged in the United States. Remove tubes from packaging. Using one applicator tube, hold the tube with the narrow end pointing up. Holding tube away from you and your cat’s eyes, snap the applicator tip at notched line to open. Invert tube over cat and use open end to part cat’s hair. Squeeze the entire contents of the applicator and direct the solution in one spot and onto the cat’s skin. Do not apply more frequently than once every 4 weeks.